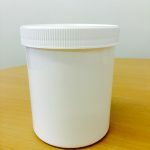 Wholesale screw top plastic jars suitable for big businesses as well as home-based online retailers – everyone gets the best value on the highest quality containers when they go direct to the UK manufacturer. 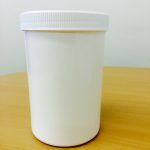 These containers screw and lock tight so if they contain any sensitive products like creams, powders and foodstuffs then you can be more confident about their security. 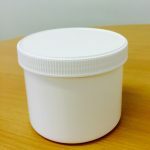 These plastic screw top pots comes in a range of sizes and you can buy in quantities both large and small. They are opaque so nobody can see what’s on the inside easily. Speak to us about having a company logo (or anything else for that matter) printed on an opaque plastic container. 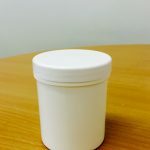 We can offer logo printed containers on small orders as well as big ones.